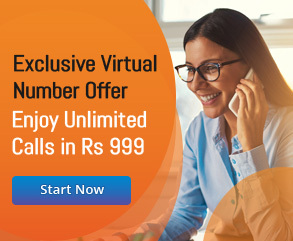 Unlike local phone numbers, toll-free numbers help customers to connect with companies without incurring any extra charge. Many businesses are nowadays taking advantage of these numbers to establish their brand presence among customers by giving them an easy-to-connect channel. These numbers often make small and local businesses appear more established and professional. Many businesses even use toll free numbers as a powerful marketing tool to enhance brand image, improve customer experience, expand customer base, and boost sales. But a question often comes to their mind: how to get toll-free number in India? In India, businesses can get toll-free numbers without any legal restriction. 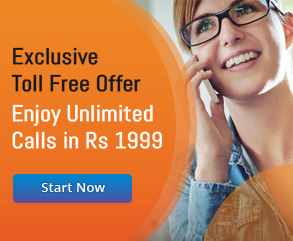 They have option to choose from several toll-free number providers. Toll-free number features provided by individual companies differ. So, before finalising the number you need to focus on a number of important factors such as quality of call services and their pricing. Here are some simple steps to get toll-free number for your business in India. The providers will allow you to choose from a variety of toll-free number patterns – distinctive patterns, repetitive patterns and vanity numbers. The distinctive pattern will help you to pick the number without following any set format, but it will make the number difficult to remember. You can keep the number easy to remember by opting for the repetitive pattern. At the same time, you also have the option to pick vanity numbers that are easier to remember. However, they may cost you a bit more than other patterns. As noted earlier, the features provided by individual toll-free number providers differ. Normally, providers allow you to choose from a number of features – call recording, call routing, call analytics, call blocking, and on-hold music. Also, the leading toll-free number providers provide you live assistance and 24/7 support. Some of these features help you to ensure maximum availability, whereas others will help you to boost customer experience. You need to compare the toll-free number features based on your needs and budget. Before contacting the provider, you must set a budget. You can even use the budget as one of the important criteria for comparing telephony services. Toll-free number providers allow you to choose from a number of payment methods – monthly, yearly and pay-as-you-use. Depending upon the call rates, calling minutes, supported communication channels and other built-in features, prices of toll-free services might differ. Some providers even allow you to avail additional and premium services according to your precise needs. You must compare the price of various services to improve customer experience without incurring high calling expenses. There are many factors that impact the quality of phone services directly. You cannot engage and retain customers without giving them high-quality services. It is always important to assess phone service quality based on data collected from both online and offline sources. At the same time, you can also evaluate the quality of these services based on the primary and additional services provided by the vendor. It is also a good idea to opt for a provider who allows you to customise the telephone services according to your exact requirements and preset budget. In addition to assessing the quality of phone services, you also need to check if the toll-free number provider is reliable and reputable. You can use an online search engine like Google or Bing to gather information about the local and offshore toll-free number providers. But you cannot determine a provider’s reputation and reliability based on the information posted on his website. It is always advisable to assess the reliability of the provider and quality of telephony services based on customer reviews. You can easily collect the review and comments posted by existing customers from social networking platforms and online discussion forums. Here are 5 points to consider before opting for a toll free number provider. In addition to selecting an easy-to-remember toll-free number and assessing quality of telephone services, you must explore ways to test the number in real time. Many leading providers allow business owners to test telephone numbers on a trial basis. Hence, you can easily evaluate various aspect of the toll-free service without incurring additional expenses. It is also advisable to subscribe to the toll free service only after assessing all its important features. However, the trial period differs from one provider to another. You need to assess all aspects of the telephony service within the stipulated trial period. The leading providers in India allow business owners to kick-start the toll free services with two distinct plans – prepaid and postpaid. When you opt for a prepaid plan, you need to purchase minutes in advance. These minutes will be deducted in accordance with the used number of minutes. On the other hand, the postpaid plan will enable you to avail toll-free services based on a pay-as-you-use model. Hence, you have to decide the most appropriate plan before starting the toll-free services. 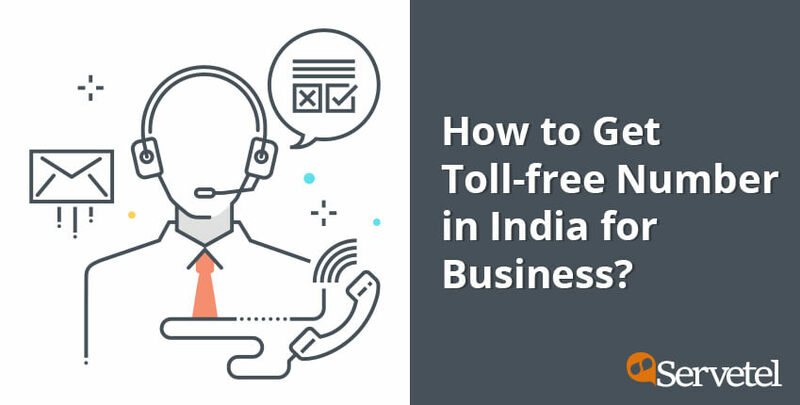 In India, business owners can get toll-free numbers without any hassle and delay. But no business can leverage toll-free numbers fully without selecting the right number and high-quality service. You must collect information from varied sources to select the best provider for your business in order to avail high-quality telephone services in the long run.